Long Pond Hearth and Home is a retailer with a showroom located in beautiful Northeastern Connecticut in the town of Wauregan. Long Pond offers Wood, Pellet and Gas Stoves and Inserts. Spas and Spa supplies, Grills, Outdoor Furniture and Kitchens. Here at Long Pond Hearth & Home, we are advocates of supporting local business and very community-minded. We strive to partner with local suppliers and suppliers of products made in the USA. We are members of the Northeastern Connecticut Chamber of Commerce and support the 3/50 Project. I am a full service hot tub dealer proudly serving Rhode Island and Southeast Massachusetts. 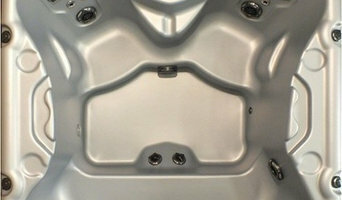 I offer high quality, American made spas from Nordic Hot Tubs. I do not rent an expensive storefront or pay a sales staff, as a result I can sell for less, much less. In addition to guaranteeing the lowest spa prices, I offer unparalleled customer service. The only thing better then my prices is my commitment to customer satisfaction. You simply will not find lower prices or better service, I guarantee it! . It’s important that you do some research before visiting a local Narragansett Pier spa and hot tub dealer. While they can give you lots of information about features and financing, you should have an idea of where you would like to position your spa and what its main function will be. Do you plan to use it mostly for relaxation or socialization? How many people will be using it? All of these things will help the hot tub dealer pick the best models for you. Decide who will be responsible for daily maintenance in your household and if the extra energy costs are something you’re actually willing to incur. Also, know that most hot tub stores in Narragansett Pier, RI let you do test soaks, also known as a “wet test”, where you can throw on your suit and take each model for a spin in the showroom so you know exactly how they feel before purchasing. Don’t be shy — just think of it as test driving a car! Find spa and hot tub dealers in Narragansett Pier, RI on Houzz. 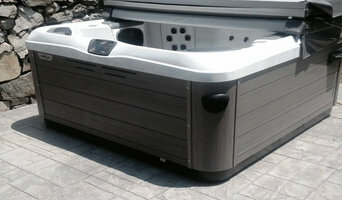 Narrow your search in the Professionals section of the website to hot tub and spa dealers in Narragansett Pier, RI. You may also look through photos to find hot tub designs you like, and ask about the details of the spa, including the manufacturer and where it was was purchased.